A believer in the Lord Jesus Christ and an ambassador for His will, 14 year-old Lewis Nathaniel Simpkins of Lexington, South Carolina, died August 10, 2016 after collapsing during football practice. Born August 21, 2001 in Greenville, South Carolina, he was the son of Willie Simpkins and Shonda (Dennis) Simpkins. In 2010, he was baptized by water in Williams Creek, Hampton, AL, and on July 22, 2016 he rededicated his life to Christ during FCA camp in Spartanburg, SC. In the community, he was a member of Word of God Ministries Columbia, Lexington Dixie Youth Baseball, South Carolina Baseball Academy, and the Pleasant Hill Student Council (2014–2015). He attended River Bluff High (Class of 2019), where he was a member of the Fellowship of Christian Athletes, concert band and football team. As a musician, Lewis played the trumpet as well as percussion. 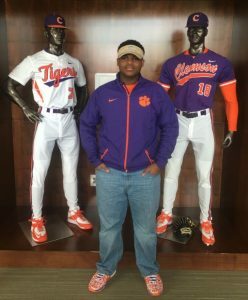 Lewis was scheduled to tour Clemson University International Center of Automotive Research (CU-ICAR) on September 12, 2016, as he had plans to apply to Clemson’s school of engineering in 2017. Outside of Lewis’ aspiration to study and become an automotive design engineer, he was inspired to play professional baseball and football. Lewis is survived by his parents, Willie and Shonda of Lexington; his adult brothers; Joshua, Justice, William and Jashun; his sister, Shontia, and his “pet Schnauzer”, Rufus. He leaves his maternal grandparents; Damon Dennis and Frances Brooks, of Columbia; and his paternal grandparents, Willie and Carmilla Simpkins, of Edgefield. He is also survived by his two nephews, Joshua and Desmond; four uncles, two aunts, cousins and many close friends. Funeral arrangements are being handled by Caughman-Harman Funeral Home, Lexington Chapel. Visitation will be held there on Sunday, August 14, 2016 from 3:00 p.m. to 6:00 p.m. A Celebration of Life Service will be held Monday, August 15, 2016 at 1:00 p.m. at Word of God Church and Ministries, located at 119 Diamond Lane in Columbia, SC. The family may be contacted at: Post Office Box 1700, Lexington, SC 29071-1700.